Check out details, trends, and this year’s top winners. 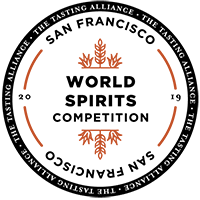 The 2019 San Francisco World Spirits Competition was held at the Hotel Nikko, San Francisco from March 22nd through March 24th. The 2019 Competition was another record-breaking year that featured almost 3,000 entries from all corners of the world. A complete list of 2019 winners will be released the end of April.